Yesterday we decided to check out the migration trails in our area to see if the deer were on the move yet. 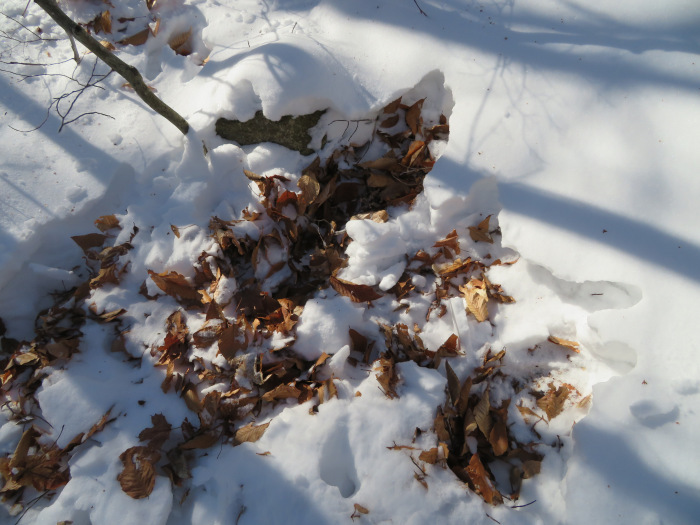 The snow reveals a world of activity previously hidden in the leaves and forest floor. Along with a myriad of deer tracks, coyote and fox tracks traced the snow in elegant single-file patterns and manic squirrel tracks scribbled between trees. 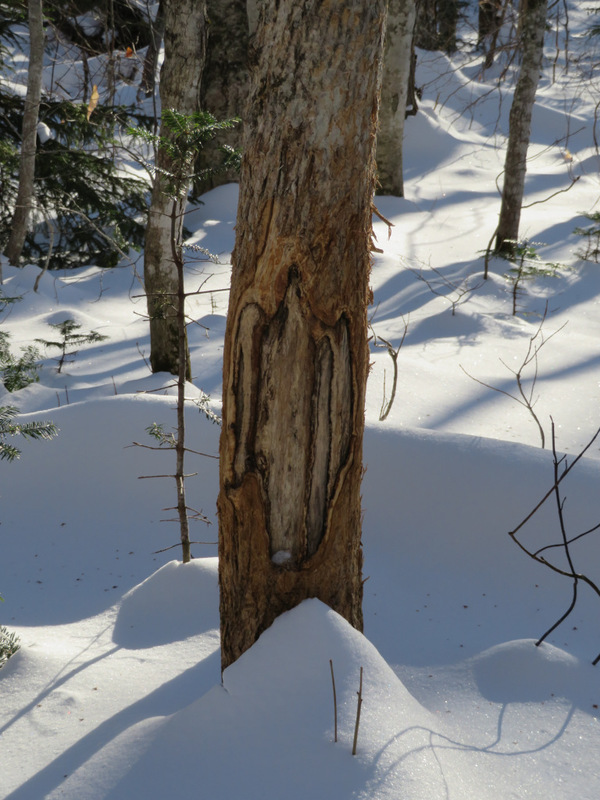 Most interesting to me was to see where deer had been digging in the snow for beech nuts as they walked the trails. Deer dig in the snow for beechnuts. In the early spring they will do this for early fiddleheads. We often find signpost rubs, but this one on this particular migration trail is remarkable. It is one that has been used for generations of deer. Imagine, year after year (15 years? 20?) deer traveling along this same trail, stopping at this same tree to leave their scent.